These structures are also said to be Paying Guest Houses and in some where these are called as PG Homes, Hotels Lodges, Inn, Tavern, Restaurants, Service Apartments, Accommodation, Tourist Guest Homes, Ala Carte and Rest Rooms (this could not be right word for the hotel, but in some places we heard Rest Rooms for the hotel) are also called refreshment houses or homes. Read few articles published here, below content may be useful for good business. If it helps, please do write your suggestions, others may also benefited, service to human is service to God. Thanks in Advance. Its an construction/establishment to provide with such facilities like meal, breakfast, dinner, chats and other services for travelers or tourists, in many hotels they says that tariff per night. It may be like one night and a day. Some accommodation providers are maintaining checkout time for 24 hours and some are said to be by 12 noon and some says 9 a.m etc. If you are a tourist first enquire about the checkout time, otherwise your purse may become loose some more weight. People of all classes including VIPs visiting to stay here and like to relax and make their stay a pleasant one quite often big hotels create a very fine ambiance. On the other hand certain other hotels don't do good Business and fail. They are forced to close or some other hotels are caught in the grip of financial crisis. Perhaps, it may be due to bad Vaastu. 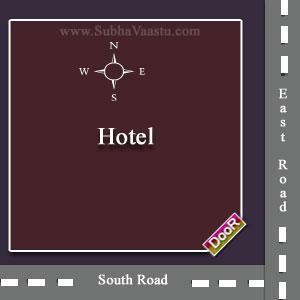 So it is always important to follow Vaastu while constructing a hotel.Today, hotel industry is on the risen position. To make a ventured successful, we should take atleast a little care of different aspects. Vaastu Shastra gives us many tips for the successful functioning of this vital industry. Atrium Lobby should always be planned properly. If a hotel becomes bad, many say that it is because managerial dysfunction or lack of Supervision i.e. management. But they may fail to understand that it is because bad Vaastu. So, before undertaking the Project, it is important to see Procedure in designing rooms, corridors, open places, Swimming Pool, function hall, reception, and Seminar hall. Uniformly all the constructions must be at the Zenith place only. If all such instructions are scrupulously followed the hotel is bound to thrive and turns out to be a Paradise. 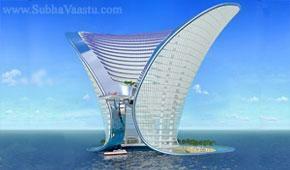 So vaastu is to be followed while constructing hotels in general and rooms and bathrooms in particular. If a hotel becomes red many say that it is because of managerial dysfunction or lack of scientific management. Alas but they don't recognize that it is lack of vaastu. 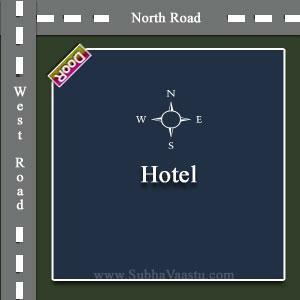 So without any compromise, one should approach an experienced Vastu Consultant and construct the hotels by following all the norms prescribed for rooms, corridors, open place, stock room, swimming pool, function hall, reception and seminar halls etc these constructions must be at zenith places. So that the hotels/lodges will have name, fame and profits without any unwanted problems throughout their age. Proper Vasthu suggestions and guidance from the experienced Vaasthu consultant will have talk of the city for your Hotel projects, Restaurants, Lodges etc. Generally we observed several class hotels are concentrating at Dubai, Singapore, Malaysia, USA cities to expect fancy benefits. How many classes in Hotel star rating. Read star rating information from Star Hotel rating. 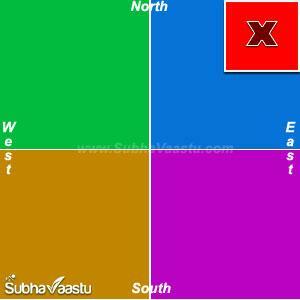 Is Vastu Shastra principles can easily implemented at commercial properties. Many properties may not have that options. So some people followed the next best system to get positive effective moments to those properties. For example, if there is a restaurant, generally Kitchen is good at Southeast corner, this is basic principle as per Vaastu Shastra. Every property it is not so easy to set the Kitchen towards Southeast, the next best placement is Northwest for Kitchen, if Northwest is also not possible to place for kitchen, then which is the best place for Kitchen. House or home is different, the commercial properties are different. 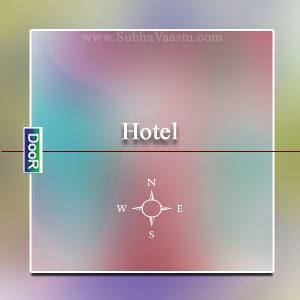 Many people are asking about Vaastu for Hotel Kitchen, Always we are looking for the best Vastu shastra for hotel business tips, in this page we tried our level best to provide impressive information with images. Please note that we are discussing about Kitchen in the restaurants, we are not discussing about the direction of the property. When we don't have the option to place the kitchen towards Southeast or Northwest then the other option to have the kitchen at the restaurant is West. If the kitchen is coming to west the door to this kitchen should be the Northeast corner or exact center of East of this kitchen. At any cost, the door should not come towards the Southeast corner to this kitchen. When we don't have option to place the kitchen towards Southeast or Northwest and west then the other option to have the kitchen at the restaurant is South . If the kitchen is coming to South the door to this kitchen should be Northeast-north corner or exact center of North of this kitchen. At any cost the door should not come towards Northwest corner to this kitchen. Now the kitchen came into North direction. Honestly speaking the Kitchen towards North direction is wrong. We should not construct the Kitchen towards North direction. But in some cases, it may be placed here only. Then what to do. First, remove from this place and construct it at Southeast or Northwest corners. If it may not be possible to remove from North then concentrate on the door to access this kitchen. The first best place for kitchen door is Northeast-east or exact East. A bigger window is recommended towards Northeast-north or North. This may minimize the bad effects of north kitchen placement. Now the kitchen came into East direction. Truly addressing the Kitchen towards East direction is incorrect. We should not build the Kitchen towards East direction. But in some cases, the kitchen may be located here for convenience purposes. Then what to do, first separate from this place and construct it at Southeast or Northwest corners. If it may not be possible to transfer from East then concentrate on the door to access this kitchen. The first best place for kitchen door is Northeast-north or exact North. A bigger window is recommended towards Northeast-East or East. This reduces the adverse effects of East kitchen position. Here the kitchen placed towards Southwest corner. This is not best place for Kitchen. It is not the right place for kitchen, the owner may lose many things if the kitchen came towards Southwest corner. Maximum try to avoid this corner for Kitchen. If your property does have the kitchen towards Southwest and not possible to change what to do then. Raise the floor height to normal floor level at remaining parts of the property. The door is compulsory and it may be closed properly. 2 or 3 Steps to get into this kitchen is good. The round shaped sump is required at the Northeast corner. it may minimize the bad effects of this Southwest kitchen. Here the kitchen is placed towards Northeast corner. At any cost, the Kitchen should not come towards Northeast corner. The financial status may be disturbed if the kitchen is towards Northeast corner. This place is too sensitive and should be weightless and fire should not ignite at this place. Waterbody is best suitable. Anyway if your property is having kitchen towards Northeast, and it is not possible to remove then ... what to do .. Remove the entire walls except North and East walls. If you require then use curtains instead of constructing walls, i.e., south and west walls for this northeast kitchen. With curtains kitchen is not looks good, then use the fiber walls or light partitions made with plywood or some other material. Very bigger windows are suggested towards North and East walls. 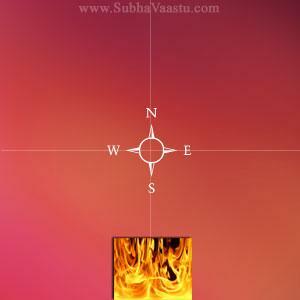 Some more techniques has to be followed but it should be visited by one Vastu Expert and then only take the decision of corrections. Please note that don't do any practicals without proper guidance from Expert consultant or vaastu pandit . 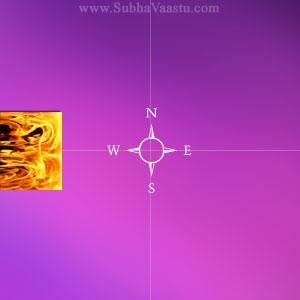 Generally, in Vastu Specialist visit he examines the owners sitting or Office room immediately where it has to come. If the property may be a biggest one say about one acre of land then chairman office or private room placement towards Southwest or West or South parts. The storeroom is best fitted towards Southwest parts. If the hotel is run in a small area of land say about one or two cents, then at that plot fixing the owners placement towards Southwest may not be possible. He has to specially construct one room at the terrace, otherwise, space will become an inconvenience. Nowadays space is the biggest problem in cities, each and every bit is utilized for commercial purposes, if we are looking for owners office room, there is no other way except to disturb the Guest Rooms. Losing income in the name of the owners office room. Instead of office room,the owner may Plan for office chamber, due to this space may not disturbed and purpose will be served. You are well aware that the Entrance door to a property is just like a heart of the body. Be cautious while fixing the main entrance door. Many guests are first check the main entrance of a hotel and later they may decides to join with that hotel or not, based on this hotel management is trying to decorate the main entrance door and make it into rich look. If the main entrance door is placed towards Southwest corner, then the business will gradually down year by year and many bad happenings also appeared there. The subject Vaastu is a ocean, we cannot said in two or three words. There are four directions viz East, West, North and South and 4 corners viz, Northeast, Northwest, Southeast and Southwest. Corner Main Entrance is not at all good for the Hotels, don't plan accordingly. Check this image, this hotel have main entrance at Northern Northwest, this is not good. Instead of Northern Northwest door, it is better to go for Northern Northeast door or North door for peaceful business. Here the entrance came towards Southeast-east or Eastern Southeast. This entrance leads to many quarrels and litigation and year after year the property may loose the auspicious powers and may lead to getting losses. Some times this type of hotels may be sound in business, but finally they loose their good name in the market. 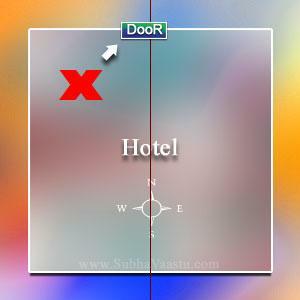 Some hotels with this type of same gates may stand forbad name. Now the main entrance door came towards Southern Southwest, this is not auspicious. This door may leads to financial losses to the property. Some thing against may occurs here. 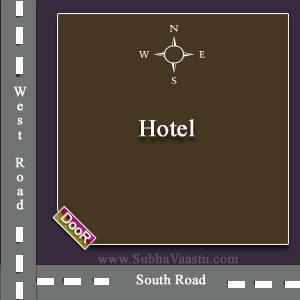 Hotel means money, so Southwest-south zone is not recommended. The main entrance door came towards Western West side of the property, this is also not good door. Please note that the corner doors are not giving good results. Except for Northeast corner door all the other corner doors are not good. But some times these properties may also get good results based on Surroundings support to the main property. 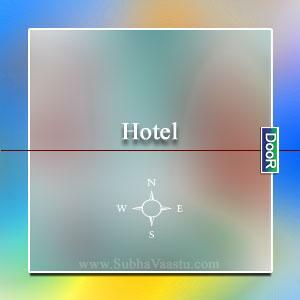 For example, if there is a mountain towards South direction and the main entrance of the hotel may be towards Northwest (corner door) may get good business. But all the good results may be time being only. If there is a river towards East side and the main entrance is towards Southeast (corner) door, these properties may have good business. Please note that this Southwest corner main entrance door is not at all good for the hotel business. Many new issues may arises that may leads to headache to the management. One after another problems may also arises here. Some times the management cannot bare the pressure of the problems created by this door and it may leads to change the management. This is the Northwest corner main entrance door, which may leads to litigation to the management. Partnership firms may not be successful here. Financial institution pressures may be common or appears here. This is the Southeast corner main entrance door which may leads to quarrels, litigation, police station attendances etc. Unhappy with business. All may be not happen within one year or months, year after year pressurized new issues disturbs the management and it effects on the business and progress. The main entrance door came towards Northeast corner. Please note that this door is not such dangerous as mentioned above all the other corner main entrance doors. It may be the fact that due to this door the Northeast may be cut to the property. You are well aware that Northeast cut is not good. If this property may have good open space towards Northeast, East and North directions then it may be little balanced. In such cases the basement structure may not be permitted here. The middle entrance doors like East, West, North and South are good. 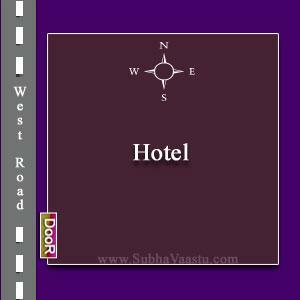 It is always preferred to have right suggestion with one competent vastu scholar before planning for hotel construction. You are Well aware that where is the center point of a particular Direction. Anyway here with we are giving certain information. Please check once. Now we are viewing the hotel property having North main entrance door. This is good entrance door to this hotel. Check the below images how to know the information that the setting of the main entrance door exactly. We have published one by one with images help. Check the center point of the hotel property. Now we will discuss on door. 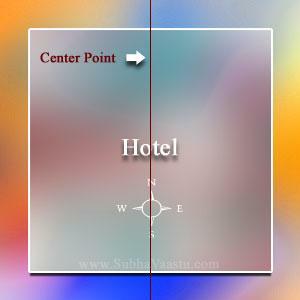 For your kind information, we have showed the center point of the property and door. Now check the below images. 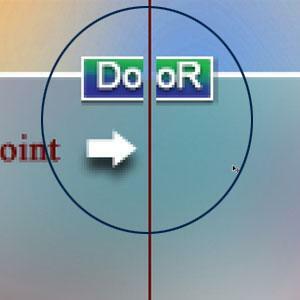 In this image the door has came towards Northern North side, this door is said to be wrong door, this placement is not good. As discussed earlier the center door is good, here the door moved towards little bit Northeast at North direction. This door is an auspicious door. Moving towards Northwest is not good. Moving towards Northeast is good. Now the hotel door came towards East direction. This is the auspicious door. Please note that if other buildings are occupied towards Northeast exactly towards this property and no properties built towards Southeast then the exact position of this East door may not give expected results to the management. At that time better to have Swimming pool towards the Northeast corner to minimize this effect. This is South middle part door to the hotel building. Please check that if there are properties towards Southwest to this property then this door brings good results to the management. This is West middle part entrance door to the hotel building. Please check that if there are properties towards Southwest to this property then this door brings good results to the management. If there is no properties developed and buildings are Constructed towards Northwest then getting expected results may not be possible. 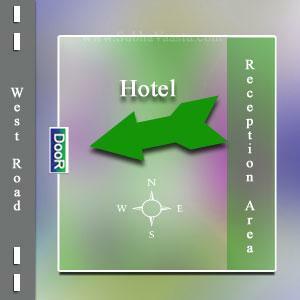 Please read carefully, this image shows that the reception area and door with one big arrow. It means its having a door facing towards main road, the reception should be good towards West side only. Guests never round the building to enter into the property. Planning the reception towards East side if the main road is towards West, guests may not round the building and not interested to visit this hotel building again and again. Reception is best suitable facing towards main road to the building. Restaurants, Hotels, Motels, Banquet halls, Resorts, Family Club house etc have today become an common part of the urban lifestyle. Due to more facilitation in travel sources, now people are more interested to travel either in business line or pleasure trips is a common and more increased. For get-together functions either in business line or social line the hotels and restaurants are the best suitable address. Ambiance is more important. 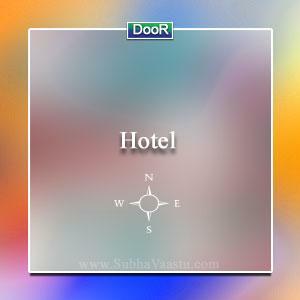 Hotel Industry is facing a high amount of competition. This is the service industry, creating the bright ambiance flourish for restaurants and Hotels. If this hotel is decorated with glamorous interiors, exclusive and aesthetic furniture may also be recommended and may beat the competitors. 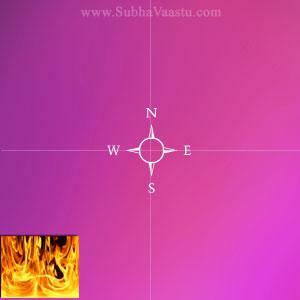 (This matter is from www.SubhaVaastu.com) Price may also be one of the important point for getting customer attraction. Affordable prices may easily attract customers/guests. The interiors and other parts should be clean and clutter-free. Out of all these things, the marvelous taste food is the key for success in hotel industry. Dim light is best suitable for Bars and pubs. Most usage of blue Colour and black mixed at Bar rooms may be recommended. Heavy/bright lighting is not important in Bars and Pubs. 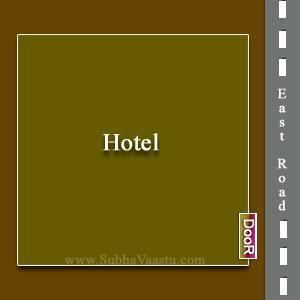 The first and foremost important point is please ensure the site quality with one competent vastu scholar, after that only buy that plot for Hotel business. 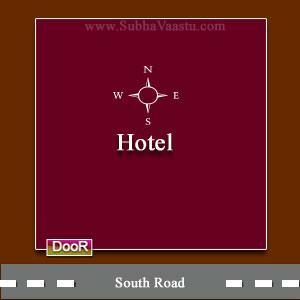 (This matter is from www.SubhaVaastu.com) If you did not find any expert nearby you then you may find out experts online and check their websites and may contact them for good hotel business. Anyway, for your kind information, we have given some hints or tips for good business development in the hotel industry. 1. The hotel main building should be constructed at Southwest area leaving more open space towards East and North directions. 2. Storing the heavy weight items, is best suitable at Southwest part of the Hotel. 3. You are well aware that Kitchen is the key role of a restaurant. Kitchen is best fitted towards Southeast (Agneya or Agni corner). 4. Constructing of heavy buildings or structures are banned at Northeast corner of the entire site. Maintaining lawns, flowerbeds, swimming pools, water body or water future or water pond, water fountain or water fall is best suitable towards Northeast or East or North direction. Please note that all these should not cross the center line as shown in the above figures. 5. The big and heavy trees may be planted towards entire Southwest parts and South and West areas of the boundary premises. After checking the surroundings we may plan for the trees towards Northwest and Southeast corners. More green more attraction. Lime green is also looks fantastic and attracts more customers. That is why in many 5 star rated hotels they are maintained separate staff to proper vigilance on greenery. 6. The entrance of the rooms should be according to vastu principles for example, East, North, South and West doors are good for the rooms. Better placement of the doors are Northeast-east, Northeast-north, Southeast-south, Northwest-west are said to be excellent doors to the rooms. 7. Maintain good looking of the interiors like rooms wall colors, floor mats, floor velvet carpets etc, if the interior of the rooms are attractive then guests will visit again and again to the same property. They will be more accustomed to the property. (This matter is from www.subhavaastu.com) The interior look should be tasteful and welcoming the guests. The posters or wallpapers should be creative and inviting ambiance and finally guests will be more accustomed to the property. Receiving is also more important in Hotel industry. Though it is a commercial property but it should strictly maintain the respects to the guests. Instead of giving common discounts to the guests, a special discounts may be created to the regular guests attach them to the property, they will inform to their friends to visit. 8. The best suitable place for swimming pool is Northeast, North or East. This is hotel industry, it requires name and fame, so don't mistake in the name of swimming pool, at any cost swimming pool should not come towards West and South parts and particularly towards Southwest parts. (Brahmastan) Central part of the property should avoid for swimming pool. (This matter is from www.subhavaastu.com) We have already clearly mentioned in our website that swimming pool at central part ruin or it may lead to bankruptcy. Overall prosperity, name and fame, business, growth, occupancy ratio and other good things, the swimming pool is best suitable towards East or Northeast, North is also suitable for swimming pool. 9. For common public usage the toilets may be good towards Northwest. 10. Generally the guests first observe the reservation lobby or reception counter and its interior decoration and seating arrangements etc. (This matter is from www.subhavaastu.com) So concentration should be more on seating arrangements and color scheme and wall papers or wall decoration coloring effects and reception area. 11. Now a days generator is must for the Hotels. The generators, electrical infrastructure, hotel building main switch board, air conditioning plants, or A/C system maintenance, Electrical fittings like grinder are best suitable towards Southeast parts of the building. Dish washer is good towards Northwest area or very near to the Kitchen is also recommended. 12. Maintaining sufficient water is a challenge in many cities. Water storage sumps are best suitable towards Northeast, North and East parts of the sector. The overhead water tanks are good towards Southwest, South and West parts of the Southwest building. 13. Chairman, MD, key post person, owner or director of management may have their sitting / administrative offices or cabin are best towards Southwest portion of the entire land. 14. In our website we have clearly mentioned that continuous music playing and lights should be maintained in the hotel premises, particularly at reception areas and guest lounge brings excellent results. 15. Pooja placement or God Idol placement or place of worship is good towards Northeast. You may hand the photos of your interested God's are good towards Northeast-east wall, your face is towards East and God face is towards West direction. 16. Cash box and safe should open towards North is good, cashier or accounts head may be faces towards North is good, facing towards North direction is not possible then East direction is the second best. 17. Some restaurants are particularly maintaining family rooms with partitions of the entire hall. Be cautious when making the partition of the hall or premises. 18. Spa / Health Club may be good towards Northwest or West parts. Upstairs East is also plays good part for Health club. 19. The verandahs or Balconies are best suitable towards Northeast, North or East directions. 20. 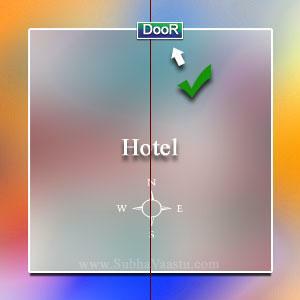 Big windows are recommended towards North and East directions. 21. In some hotels they are maintaining mezzanine floors, (for example:Fortune Inn Haveli Hotel in Gandhinagar, Gujarat etc) should be towards Western or Southern parts of the hall and it may not be planned towards North or East directions. The staircase to the mezzanine should not touch the North or East walls, leaving some gap is recommended. 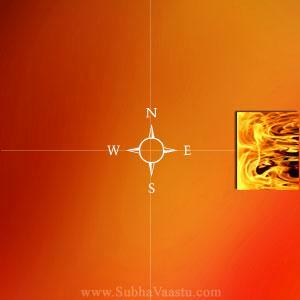 In staircase section in our subhavaastu.com website we have clearly mentioned that stairs starts from North to South and East to West directions only. The stairs should not from South to North direction or West to East direction etc. 22. Please ensure that the bed should be placed towards Southwest part of the rooms. The guest head should not be placed towards North direction. 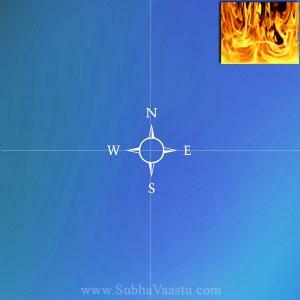 Keeping head towards South is auspicious and East direction is also recommended. 23. Basement is common for the hotels, if there is heavy North, Northeast and East open space for the main building then basement towards Northeast to that building may not provide expected results, though the Northeast basement is excellent for the commercial buildings. 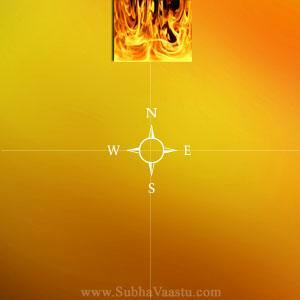 Success is not so easy, vastu is not the exact weapon for success in restaurant. The simple reason for success of a restaurant is taste and hospitality. 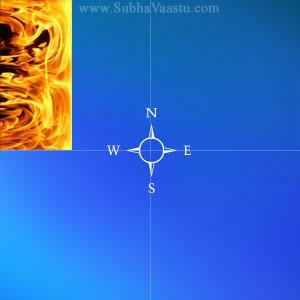 If you followed vastu principles then you may get a easy way to reach to your destiny. Some attraction may raise in that said property and customers may regularly selecting to visit this property. Atmosphere is also too important. The main important point to get success in the restaurant is a passage entrance gate, to reach to the hotel i.e, way to reach to the main property and the main entrance door. The main entrance door plays a vital role. Main entrance door should be fixed as per vastu shastra principles. 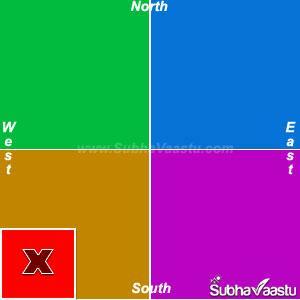 It should be finalized by one expert vastu consultant only. 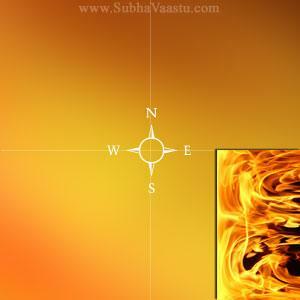 Please approach only one expert and best vastu consultant nearby you. Trees plays a excellent role with hotels and their establishments. Above we shown some options for the kitchen, but this is only a general view. Don't do any practical without expert vaastu consultant advise. Continuation music playing is important in the restaurant. Mild music is recommended. Color selection is also important. Colors in the restaurant attracts the customers/guests. The main restaurant board should be attractive and proper cleaning may be done to the board regularly. Daily clean the floor with dettol(anti septic lotions) two times per day is suggested. Dress code is good for the staff. Staff room placement is important. Don't miss to ask about staff room placement with expert vastu consultant when he visited your property. Some are planning to build the toilets at these properties at many places. Here is the guidance for toilets. If your property is a bigger one avoid placing toilets at these places. Observe the Northeast corner red mark area and cross mark in merun colour. Avoid this place. Red mark is covered 25% of the Northeast part as shown with Blue color. Planning Rest rooms or toilets or bathrooms are not advisable at Southwest corner of the property. 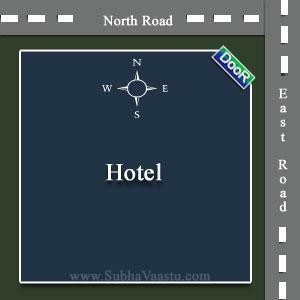 Better to avoid this place and plan at some where as shown by the expert vastu consultant visited your property. Remaining these two parts the other parts for restrooms may not give bad results. Attention towards planning toilets at Brahmasthan when there is empty space at Brahmasthan location. Which direction flat is best in a Apartment? My house is having ups and downs is it good? Some says that counting of steps / Staircase is important is it correct? 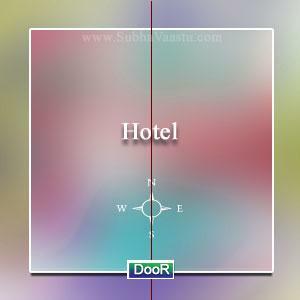 Is doors should be placed according to Vastu principles, is there any importance? I have one house in USA, now I would like to construct swimming pool, which place is best? need more information regarding best suitable place for restaurant toilet . I've been exploring for a bit for any high-quality articles or weblog posts on this kind of area . Exploring in Yahoo I at last stumbled upon this website. Reading this info So i'm glad to express that I've a very good uncanny feeling I discovered exactly what I needed. I most unquestionably will make certain to do not forget this web site and give it a look regularly.